52' Byrne steps up to deliver the Wolves corner but he puts too much on it and it's over Batth at the back post. The "lone market" is where the lone strikers are. 52' McDonald with a first time shot from just outside the box, his low drive is pushed wide by David Button. Corner. Great shot McDonald from the edge of the area. Keeper pushes out for a corner. 50' Van La Parra twists and turns on the right wing, he fires a ball across goal but it runs long. Inches from dropping in at back post. This is our passion. This is our club. This is Wolverhampton. This is our Love. Great cross by VLP but evades Byrne at the back post and runs out for a throw-in. 49' Sigurdarson deals with the first corner at the near post, behind for a second corner that's too long for the man at the back post. Siggy blocks for another corner. 48' The ball breaks for Marco Djuricin inside the Wolves box, he shoots but it's blocked before it bobbles wide. is that Mad world- tears for fears? Come on You Wolves! Give us something to shout about please. KJ's plan will be to say he is disappointed and frustrated and that we need to defend better. Siggy and Mason get this second half underway. Brentford 1-0 up. Teams are back out here. No changes at half-time. Who is Kenny going to put on ? It's getting desperate out there we can do without another loss its heartbreaking, teams we would have wiped out a couple of years ago. SO COME ON WOLVES AND SHOW SOME SPIRIT NOW THIS SECOND HALF. Problem is, Larry, we haven't seen a "big performance" from this team since we beat Brum on Hallowe'en. We desperately need Williamson back to shore up the defence and Zyro to drive us forward. Once again, useless! What's KJ's plan now? Just signed in after watching 1st half of Ars v Barca. I see its business as nusual. 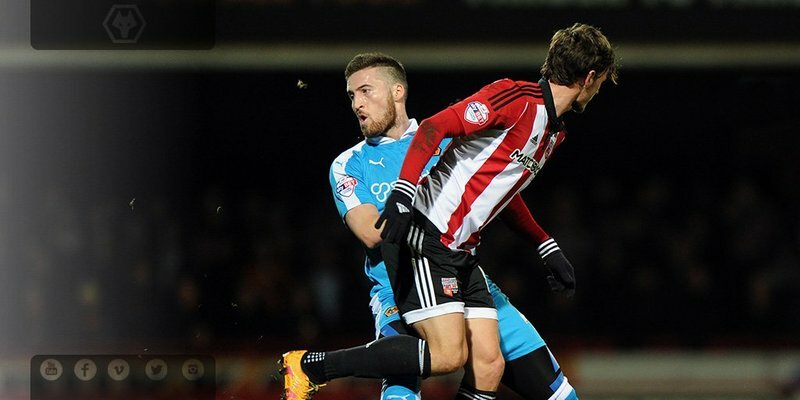 Brentford 1-0 up at the break after a Swift strike broke the deadlock. Wolves started the game well, before Brentford gained momentum and had the best of the first 45 minutes. However, Wolves are still in this. Need a big performance in the second half to get something out of this game. Shot count 12 to 3 to Brentford is it any wonder we are losing?